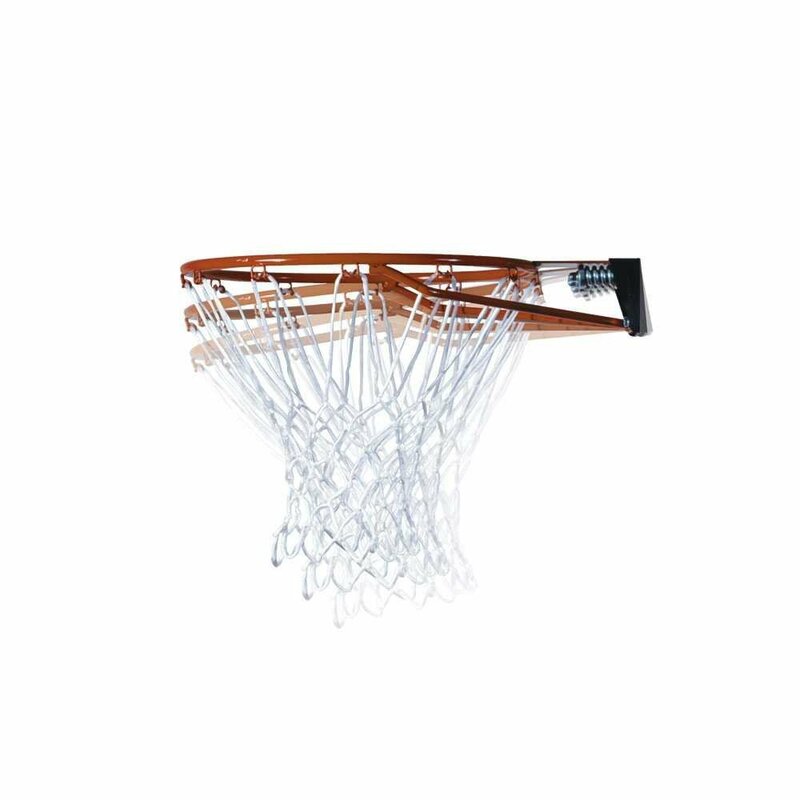 The Lifetime 71799 is an in ground basketball hoop system featuring a 50 inch shatterproof backboard, Action Grip Height Adjustment System for easy height adjustment, and a Slam-It rim that can withstand rim rattling dunks. The poles are protected by a powder coated finish. It comes with a 5 year warranty from Lifetime. Assembly can take a few hours with about 2 people doing the work. The instructions that come with it are easy to follow and the parts are easy to identify. It’s recommended to purchase the Lifetime Ground Sleeve for 3.5 inch poles if you ever decide to move your hoop system. As with in ground systems, they are forever attached to the ground when the cement settles in unless you used a sleeve first before attaching the main pole. 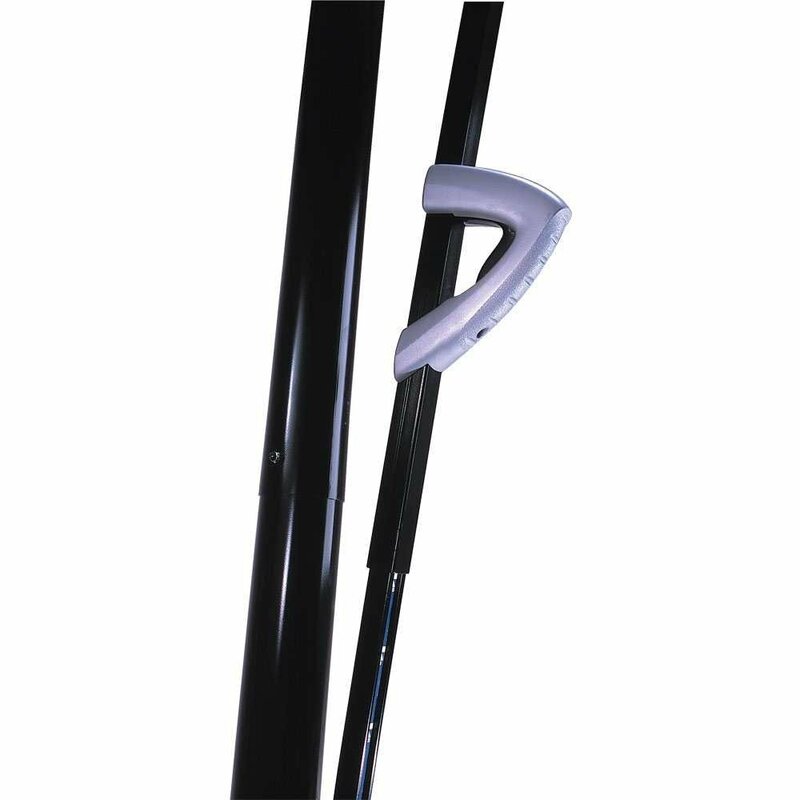 With Lifetime’s Action Grip mechanism, height adjustment is easy with this hoop and can be done with one hand. The height can be adjusted from 7.5 feet up to 10 feet with increments of 6 inches. Build quality is not the best as expected in this price range. But it does its job well enough. While it may still have some wobbling when the ball hits the backboard, it still has the stability of an in ground hoop system. 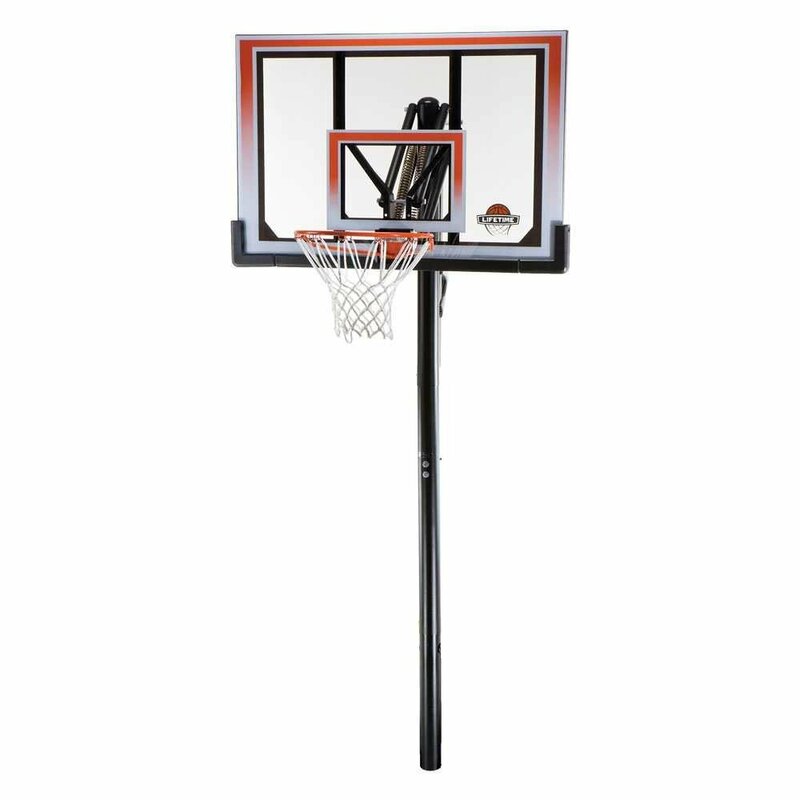 While it may not turn heads and the build quality leaves much to be desired, the Lifetime 71799 Height Adjustable In Ground Basketball System, 50 Inch Shatterproof Backboard is still worth every penny. Add to this Lifetime’s 5 year warranty, expect to have a lot of worry free years of ownership of this hoop. 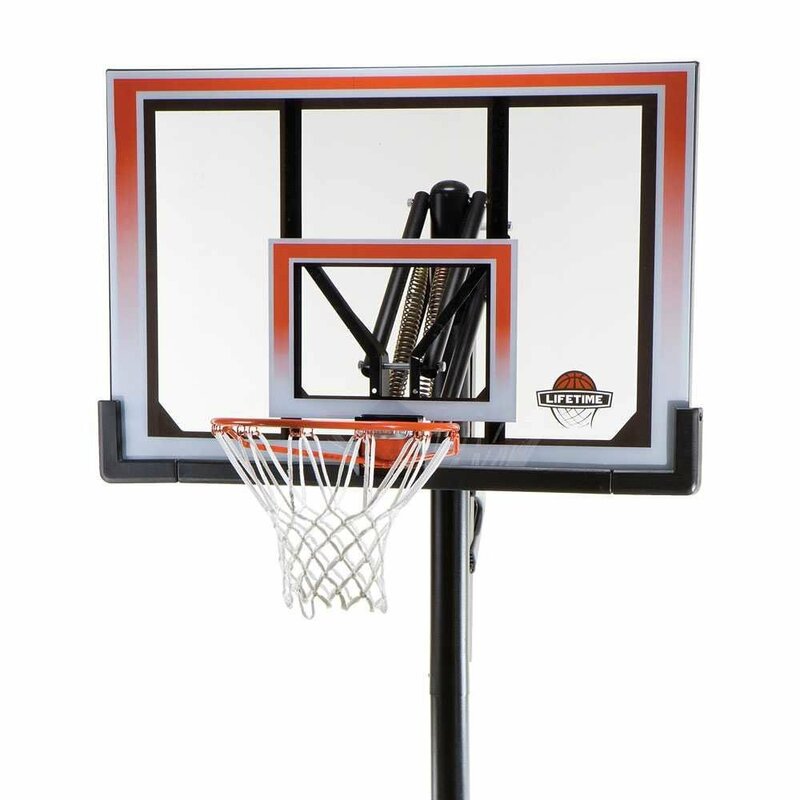 With its cheap price compared to other in ground basketball goal systems, it actually over delivers on the basketball experience and should definitely be on your short list if you are looking for a quality hoop without spending a ton of cash.